Floats and balloons wait at the start of the McAllen Holiday Parade at McAllen Veterans Memorial Stadium on Saturday, Dec 1, 2018, in McAllen. 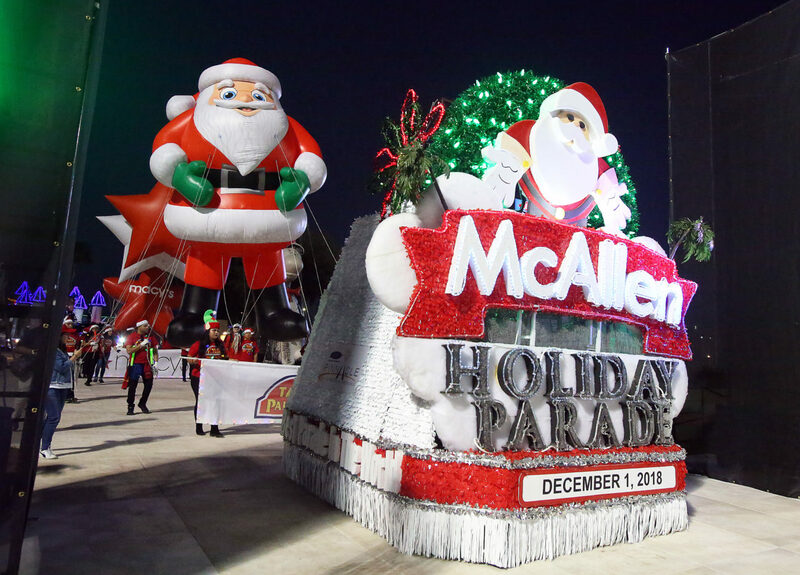 For the second consecutive year, the McAllen Holiday Parade was recognized as the best overall at the Texas Association of Fairs and Events (TAF&E) conference last weekend in Galveston. He congratulated the RGV Livestock Show for their awards, including 2nd Vice President Sam Morrow, who was dubbed Volunteer of the Year by the TAF&E. “That is a huge honor and events such as these, that have been around for decades serve as inspiration,” Vera said in the statement.